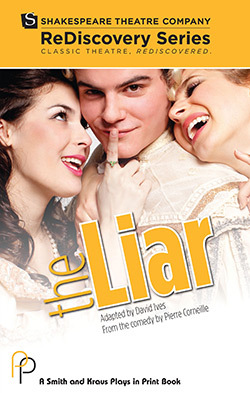 An original, published script of the comedy The Liar by Broadway playwright David Ives is now available in the theatres’ gift shops. This adaptation of The Liar arose out of our innovative ReDiscovery Series, in which great but lesser-known plays of world literature are examined through live readings in collaboration with guest scholars, translators, adaptors and members of Washington’s theatre community. Other recent productions that originated from the ReDiscovery Series include The Dog in the Manger (nominated for 4 Helen Hayes Awards), The Beaux’ Stratagem, Lorenzaccio, Don Carlos and A Woman of No Importance. Click here to purchase your script online.